Unique intricately woven black and brown earrings that are beaded with genuine black onyx gemstones, bronze Czech fire-polished glass beads as well as brown and black glass seed beads. Drop length is about 1-1/8” (31mm) x 7/8” (23mm) wide. From the very top of the ear wire, earrings are about 1-5/8” long. 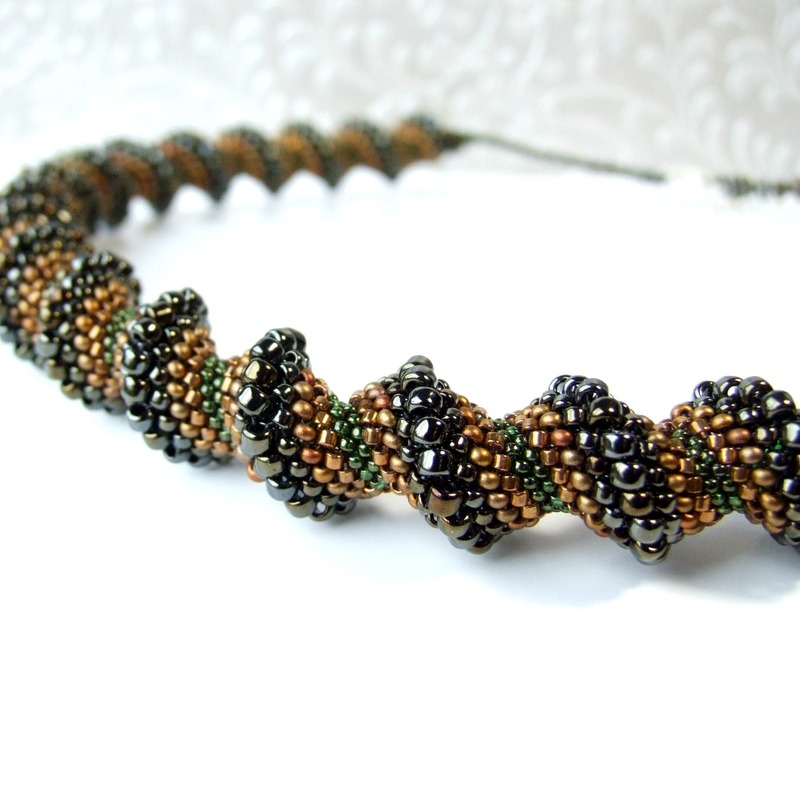 Woven with genuine black onyx gemstones, Czech fire-polished glass beads and glass seed beads. *The earrings pictured are not the exact earrings you will receive, but a pair of the same design. Please allow for very slight differences as each piece is handmade. This style also available in black onyx and gold glass.